As I said in the gift roundup on Monday, my Mom loves wall calendars and always receives one as a Christmas gift. 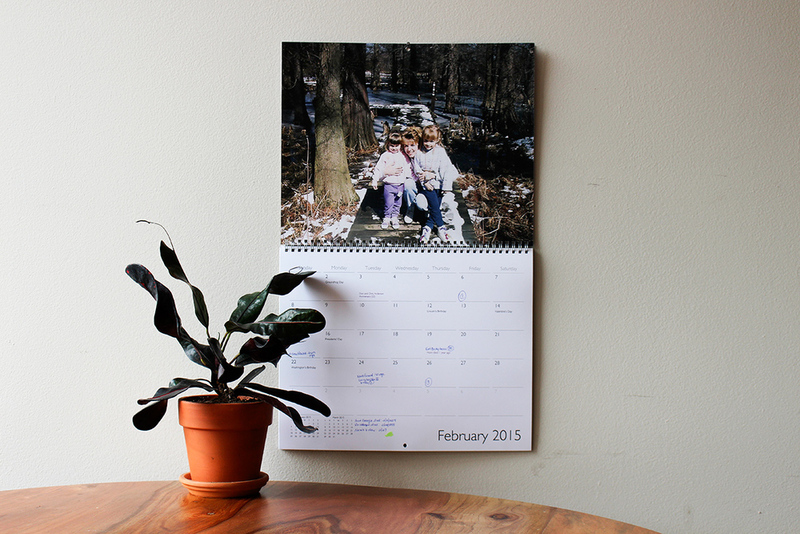 Last year, I decided to surprise her with a photo calendar of family photos from our childhood. This took some coordination with my sister to sift through photo albums and scan photos to send to me. She picked out some gems, let me tell you! When I was trying to decide where to order a calendar, I found out that Apple makes it very easy. You can put together a calendar right in iPhoto. So great. I really liked simplicity of this calendar. You can customize the font styles, add photos to certain days and write in birthdays. I customized my Mom's calendar, making sure to put in major events and holidays.